In recent years we have seen bridesmaids dresses becoming shorter and flirtier, with tea length dresses and net underskirts becoming a popular choice. This trend continues, with knee length gowns becoming the norm, and pleats, puff balls, and short cocktail skirts keeping bridesmaids dresses fun. 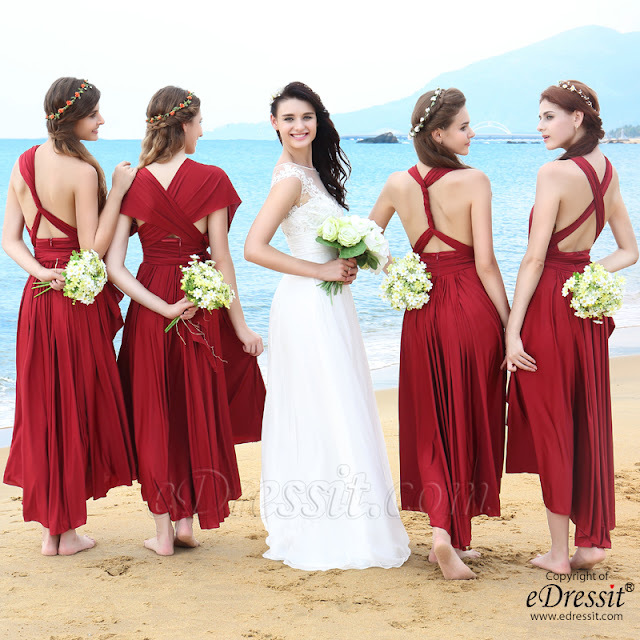 Currently the top trend in bridesmaid gown style is to mismatch the bridesmaid dresses! In order to keep their bridesmaids happy and ensure they look their best, brides in the know are choosing a colour and fabric for their bridesmaids' dresses, and then letting each bridesmaid choose an individual style that suits their body shape and personality. Convertible bridesmaid dresses are included. The key to making this work is to set certain rules, such as the length of the skirt, but let the bridesmaids choose the neckline, the waist and the style of skirt. Wow.. 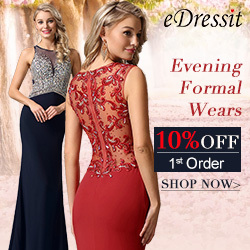 These all dresses are beautiful and perfect for all brides.. I loved all it.. Thanks for share it..